The name Treana symbolizes a trinity of natural elements- the sun, the soil, and the ocean-elements that make Paso Robles, and the rest of the Central Coast, an exceptional area for growing wine grapes. The Treana wines are our signature blends. The Treana Red is a blend of two varieties that thrive in Paso Robles: Cabernet Sauvignon and Syrah. Treana White is a blend of Viognier and Marsanne, two varieties indigenous to the Rhone Valley in France that are well suited to the cooler areas of the Central Coast. This white Rhone blend displays varietal characteristics of Marsanne and Viognier; vibrant floral aromas of citrus blossom and jasmine are followed by elegant flavors of ripe stone fruit, hints of pear, pineapple and honey overtones. 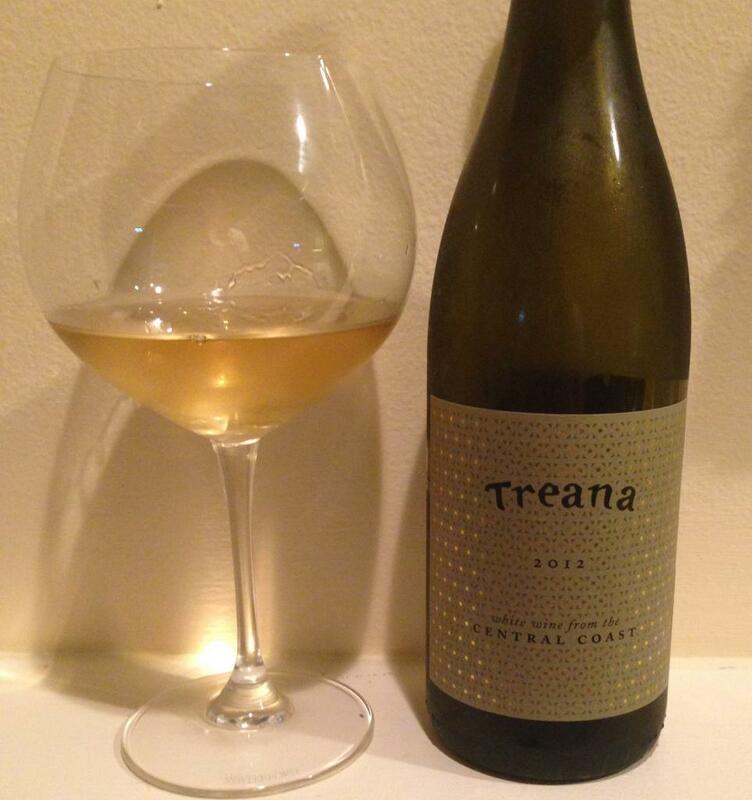 A wine of excellent balance and complexity, the Treana White will age beautifully over the next decade. I’ve really been slacking on the “Wine” portion of this blog. What can I say? I have a tendency to drink more wine than I actually write about. 🙂 I have tons of photos on my phone where I’ve planned a wine post but never get around to it. In order to combat this, I will *try* to make myself write about at least 1 bottle of wine a month (but I’m going to try for 2 a month). We’ll see. I’m still in the search for the perfect White. My husband is a more of a White drinker while I prefer Reds. And since I buy most of all things consumable in my home, its on me to curate a selection of wines that both of us will enjoy. Which is how we came to this bottle of Treana. I paired this Treana with a slightly spicy Mexican dish and I thought it was almost perfect. In fact, I think it could have handled an even spicier dish. The Treana was refreshing with a hint of sweetness and a small bite. As the wine warmed the sweetness was even more pronounced. Delicious. My husband wasn’t quite as fond of this as I expected. I think he was expecting a bit more sweetness and a little less bite – he told me he thought it was a little dry for his tastes. I’m going to have to ponder this one. I enjoyed the bottle quite a bit but hubby wasn’t a fan. I’m not sure if I’ll buy it again – maybe the next time I’m making something super spicy. I am a red lover myself. Merlot with a bit of a dry bite is a favorite. Glad you liked Treana. I am terrible at picking whites! Me, too! A friend recently told me that I should try a sauvignon blanc since I like Cabs – he said that the grapes are related. I think I’ll try one of those next. But I did enjoy the Treana.